Alexander Technique teachers and their students have been successfully using their minds to influence their bodies, and parts of their bodies, for over a century. Alexander Technique Directions are mental processes whose purpose is to improve physical and mental functioning. In a previous post, Taking a Walk down Easy Street, I described two sequences of Directions which I found very useful in walking, and in other activities. The first began at the my feet and moved upward to my head, and eventually to my eyes. The second traveled back down from my eyes to my feet. The particular sequences I used were inspired by Imogen Ragone who shared with me a Direction she had thought of: “I am free to notice ease in my feet.” I experimented with it, found it very helpful and was inspired to expand on that idea. And that – whether used by itself or as part of a sequence – has turned out to be extremely powerful in all sorts of ways. My shoulders tend to drop when I think this thought. 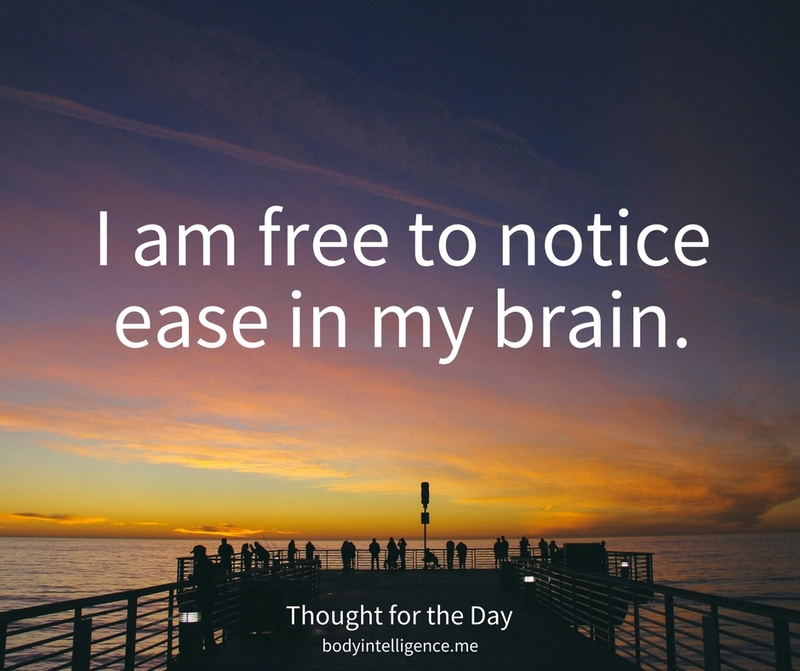 I have noticed ease in my brain and it has a calming effect for me. Taking time to feel at ease with my brain is like checking in on my thoughts to see if they are compatible with my beliefs. I’ve been finding this thought very useful, and have tried it out in various situations, including walking, as you suggested. I usually, however, notice the most significant effect when I’m working at my computer, or thinking about work!! The first thing I typically notice is a sense of spaciousness inside and out, accompanied by a deep breath that just happens spontaneously, and an overall sense of ease. I also often notice a letting go in my shoulders, too. For me, the effects were most pronounced when I used the Direction while walking – it seemed to reorganize my whole body, especially my legs, so that it operated in an easier and more efficient manner. It’s not at all surprising that individual experiences would be so varied. The brain, after all, controls just about everything in ourselves, directly or indirectly. 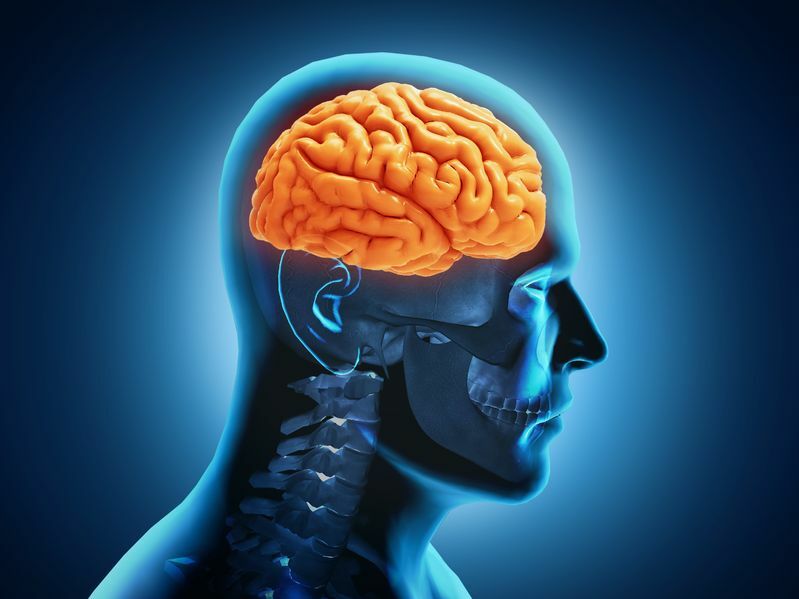 Which is why, for example, a brain tumor which puts pressure on brain tissue, can have a huge variety of unpleasant effects, depending on where that pressure on the brain takes place. One of things I like about the new “Brain Direction” it is that I am not able to directly sense the effects of this Direction in my brain itself. * The effects are, however, quite apparent in other parts of my body. This “separation” is a useful quality for self-direction since it makes it easier to avoid being drawn into the Directlon’s effects while experimenting with it – making it less likely to forget the Direction that is causing those effects. Obviously the experiments with this new direction are just a start and it would be very, very useful to have readers experiment with it and post their own findings below and on Facebook. And please, don’t think you need to have had any Alexander Technique experience! *Some people seem to be able to directly sense changes going on inside their brains. After experiencing a TBI (traumatic brain injury) in September of last year, I have developed a new “relationship” with my brain that didn’t previously exist. With years of directing experience, I have found it helpful to give freedom directions for ‘it,’ ‘my brain’ to rest, think clearly, remember, etc. The direction mentioned in your post is especially helpful. I sense it directly in my brain as well as throughout areas of my body. I will surely continue to use it! I love your blogs….they are always keeping me from melting too deep into my old habits. Keep in touch. Hi Melissa – I didn’t know about the TBI. I’m so glad the directions helped.